Billy Dec is an Emmy Award-winning TV personality and the CEO and founder of Rockit Ranch Productions, a restaurant and nightclub development and management company specializing in entertainment marketing, promotions, branding, public relations and operations. During his first year at Chicago-Kent, Dec opened his first nightclub, and over the next three years, managed to successfully juggle his legal education and his business. 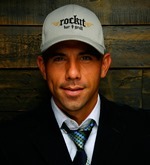 In 2002, he co-founded Rockit Ranch Productions and soon opened the company’s first concept, Rockit Bar and Grill. Building upon that success, the company has since opened other popular Chicago venues, including The Underground, Sunda, Rockit Bar and Grill in Wrigleyville and, most recently, Ay Chiwowa. Dec has also been recognized with an Emmy nomination for his role as host of NBC’s show “24/7” and received an Emmy at the 51st Annual Chicago/Midwest Chapter of the National Academy of Television Arts and Sciences for Journey to Sunda, a production based on the development of the popular Asian restaurant. He received the USA Operator of the Year Award from the Nightclub & Bar Conference in 2008 and the Asian American Hall of Fame Award in 2010. He has also received the Excellence in Business Award from the State of Illinois, the Byrne Piven Community Service Award and the Chicago-Kent Professional Achievement Award. Dec is also active on the boards for the Make-a-Wish Foundation and the Lookingglass Theatre Company and served as the Director of Cultural Relations for the Chicago 2016 Olympic Committee. I was very scared. I was holding down 10 jobs as the owner of my first bar & restaurant. I was somehow thinking it was possible to be an entrepreneur and a first year law student. Admittedly, I was unprepared quite a bit. When I came into class, I was always sort of fearful that I was going to be called on. I didn’t have a lot of options- I had to make money, I had to work. My favorite professor is Richard Kling. He’ll probably scoff at that, because he always to this day says I never went to his class. I did miss some because of the work issue, but he would just be very personable, positive, fun and light. I really soaked up everything he was talking about. The one I liked in particular was Professional Responsibility. I just found it really interesting that he was sort of introducing this idea to me that there was this responsibility, power and value to it that had to be treated in a certain way. I connected to his message. I was a one-man show that had to fend for himself. I think that in the process of going from 2 businesses to 3 or 4, I had to learn how to create organizational structure, management systems, and build a company that required a whole new set of skills that I didn’t have. That was a challenge for me. I very much loved empowering myself as an entrepreneur and solving problems. I think at some point when you’re trying to create something to live beyond yourself, it requires more of an umbrella structure and a whole tree of strategy and business muscles I hadn’t picked up. I actually went to a 3 year business program at Harvard to achieve that. My greatest achievement was just passing the bar. The day I got the letter that I passed was so overwhelming. It was like everything I’d done to that point was grueling. I was doing about 18 hours a day, 7 days a week for years. It was a lot. I knew that going into the bar I was way behind, so I buckled down and challenged myself beyond belief leading up to it. It was the greatest thing ever. My grandfather in the Philippines was a lawyer and worked his way up. The whole community depended on him. It was so important to my family to finish and pass the bar. How do you feel Chicago-Kent prepared you for your present success? There was something they did that I imagine was very unique. They allowed me to have a flexible approach. What I was doing wasn’t normal, as far as the inability to stay on track with everyone else. They really customized my situation and let it be part of my life. They worked with my other pressures. I didn’t have any extensions or a lower bar, but there was a working relationship that was really cool. Also, as an entrepreneur I can’t tell you how much more empowered I was after the process. Not just because the education and the grueling challenge of it all gave me a certain confidence, but they taught me a lot about the process. Even when you’re an entrepreneur you’re faced with constant obstacles. You’re faced with constant inability to get a clear answer and dealing with many conflicting, confusing voices. I think the teaching of the process of it all, the analytical process. When faced with obstacles, I was able to slow things down, sums things up and have a better approach because of the things I learned in law school.